There are not very many rappers who have the ability to effectively pursue multiple entertainment endeavors. Ja Rule has proven the world wrong and has been unbelievably successful in his accomplishments and is widely recognized as a triple threat in the industry, being a prominent artist, actor and author. I was able to catch up with the remarkable megastar as he shares with me his recent happenings, mainly his role in “I’m In Love with A Church Girl” that was recently released on DVD and Blu-ray. Here is what Ja Rule had to share with the Consciousness Magazine readers. Tocarra Eldridge: What does the word Consciousness mean to you? Ja Rule: I would have to say Consciousness means being aware of what you do and being aware of your surroundings. It can mean a lot of things, but that’s my definition of Consciousness. That’s what Consciousness means to me. Tocarra: What was it like playing the role of Miles Montego in “I’m In Love With A Church Girl”? Ja Rule: It was great! I had a great time playing Miles. It was a lot of fun for me. All in all, it was a great experience. Tocarra: Did you have any similarities to the character that you played? Ja Rule: Miles and I have a lot of similarities. There are a lot of parallels between the character and myself. When I shot the movie, certain scenes brought out certain emotions in me. I had to go to dark places to bring out some of those emotions. Tocarra: What made this film different from any other roles that you have played? Ja Rule: I think this is the reality of it. I’ve never played an actual character before – a true story where the movie is actually about somebody’s life. I think that’s what made it different. And actually having Galley (Producer of “I’m In Love With A Church Girl”) on the set with me, to be able to ask Galley what was he feeling like when he went through certain things or how did a particular situation play out for him. Taking what he gave me and gathering that information, as well as combining it with my thoughts, just made what was portrayed on the screen different. Tocarra: Did it take you to have to be a man of faith and a believer in God in order for you to play this role? Ja Rule: Yes, somewhat. You can’t be an atheist and play this role. I think you have to have some type of faith and some type of beliefs. I’m a really spiritual person. I believe in God, so it wasn’t a stretch for me to get into that character or get into the belief that a woman can change your thinking and bring you to the light of God. Tocarra: Playing the role of a street guy, who transcended into a positive guy, what positive messages do you think those individuals will receive who may have many distractions and are battling the street challenges, but would like to change and become an upright individual? Ja Rule: Well, according to my Twitter feed there are a lot of people that were actually touched by this movie. You never know the power of the material that you put out there until you get the feedback. I get it [positive feedback] a lot from my music. People will say to me ‘you know Ja, I was going through some rough or tough times in my life and I listened to this record or album and it got me through’, or ‘this album was the soundtrack to my high school years.’ On the film side this was the first time that I’ve ever done a film and actually had people to say to me ‘that movie inspired me or that movie changed my life and helped me through this or that.’ So, it was a testimony. I’ve heard so many different wonderful things that this movie has done for people in their journey. I’m very proud of that and I want to do more films like that – where people can actually come to me and say that the role I played helped change their thinking or changed their life. I like that. I think that us as artists do what we do to inspire the next generation. Films like this are great for people that are going through things. It can inspire them; they can take a lot from it. Tocarra: When it comes to our youth, what is your take on the influence of the mainstream hip hop music of today? Ja Rule: (Laughs) That’s a great question! I love music. I love the art form. Do I like everything out there? No! I don’t think there’s ever going to be a time when I like everything out there. I didn’t like everything in the 80s or the 90s, so I’m not going to like everything in the 2000s. There are a lot of great artist out there that are carrying the torch and making good music. I’m just happy to see the next generation making music and having fun with what they enjoy. I’m getting a little older so some of the stuff may be a little too young for me right now, but I understand it because I’m a hip hop head. My kids listen to hip hop. I listen to hip hop. For me hip hop is something that just keeps growing. I think that’s a beautiful thing in regards to where hip hop is going. I’d be lying if I said I like everything that’s out there, but I’m not mad at it; I understand it. I think there were a lot of things that I was putting out early in my career that maybe my parents didn’t understand or like. I had to explain to people that this is a part of our culture and this is a part of what we’re going through. Sometimes women don’t take it that offensive when you call them a B****. Women call each other B*****’s nowadays. It’s like what we’re going through as a genre and as a generation is different than what you may have been going through at my age. Its generational gaps, but it’s all for the good. Tocarra: As a successful artist, what changes have you seen take place since your beginning stages? Ja Rule: It’s all changed. It’s all different now. I’ve been in the business a long time. It’s crazy! When I first came out, I remember recording on reels when we had to go in the studio and actually cut the tape after we finished recording. If we wanted to do it over, we had to do it over! There weren’t any punches. I remember recording in those times when it was wax and then going through the CD era when things started to be more digital where we could do punches. When I first started you had to get it down to one take. Even making videos, the editing process has changed a lot. I remember the film was so expensive to make a great video. That was actually film that you use for movies, so it was very hard to get that film. It was a different time in hip hop. What we go through now is mp3’s and everything is digital. Now when I do the movies, it’s like they just roll the cameras and never call cut! (laughs) It’s no film; it’s all digital so it doesn’t matter. Everything’s just all fun and good while it’s being recorded. It’s a different time. I think it’s a gift and a curse. In some ways it has made things a lot easier for those artists who are independent and up and coming get there stuff out there and be successful, but at the same time it’s made the main stream and bigger labels take a hit as well. Because it’s harder for us to capture the audience where they want to go out and buy the music. Tocarra: Can we expect any up and coming films or new albums from you in the future? Ja Rule: Absolutely! I have two new films that I’m about to start shooting in the spring and in the summer. I’m working on my new album, my new project right now. I have a new reality show coming real soon called Follow The Rules. We actually start shooting that in another two weeks. I’m producing some other TV shows that you’ll be seeing soon. I’m not in it, but you’ll just see my name on the producer credits (laughs). I’m just enjoying being creative right now, creating great content to put out to the public. Tocarra: Would you like to add anything else before we close in regards to “I’m In Love With A Church Girl” or any of your other endeavors? 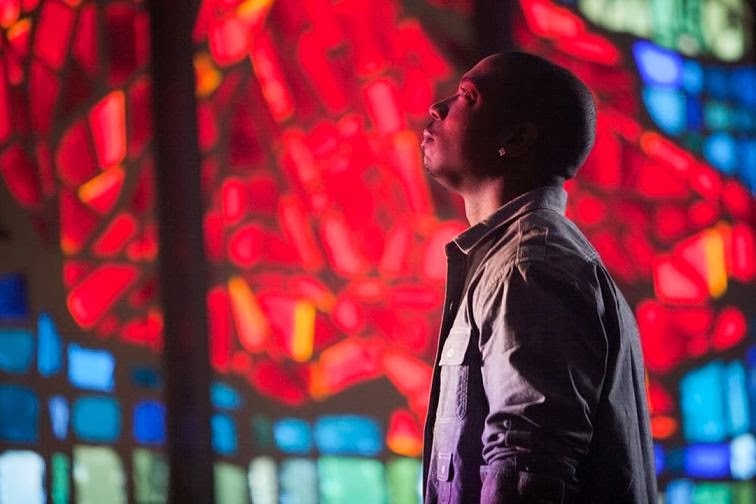 Ja Rule: “I’m In Love With A Church Girl" is on DVD this month so go check it out! Go cop it! Get it in your collection! It’s a real good and inspiring movie. And my new book is coming out soon too, it’s called Unruly: The Highs and Lows of Becoming a Man. So ya’ll can get that too and read about my wild and crazy world.